Is coffee causing your eczema breakouts? Eczema Triggers – What’s causing your breakouts? Instant nice person: just add coffee! Coffee has been a long-time faithful friend: from waking us up in the morning, to reviving our studies late at night, and even being an ice breaker on a first date. Ever since its first discovery in Ethiopia, we have been enjoying this beverage for centuries! If you’ve ever worked or produced something in a coffee shop, then you’ve shared something in common with great composers like Bach and Beethoven, whose musical works were said to be spawned in coffeehouses! Its health benefits have also long fascinated scientists: coffee has been shown to improve memory and brain function, be an excellent source of antioxidants, improve insulin sensitivity, and was even shown to improve DNA. But if coffee is such a wonderful, helpful discovery, then why is it often pulled into question for those with digestive issues, or inflammatory skin conditions like eczema? Coffee can have an indirect affect on eczema, as it’s been studied to create an inflammatory response in the gut, potentially affecting those who already have poor gut and immune system health. As I mention in the Gut-Skin Connection, when your immune system is affected by too much inflammation, its ability to heal your skin is also slowed. Additionally, certain types of coffee (more on that later) can create underlying levels of chronic stress, anxiety, and adrenal fatigue which can be a trigger for an eczema breakout. In this way (if your body is suffering from high inflammation levels, along with high levels of stress), you could consider coffee as a trigger for your eczema. But wait! Before giving up coffee altogether, consider this: just how there are different foods that help or hurt, there are also different types of coffee. There is a small percentage of people who are naturally sensitive to all types of caffeine and would do better avoiding coffee, but for a lot of people, your inflammatory response or stress levels might have nothing to do with coffee. You might just be reacting to the toxins in industrially produced coffee beans. Conventional coffee beans are largely produced in mass quantities, containing high amounts of mold and mycotoxins, and are heavily sprayed with pesticides to yield more crop. Mycotoxins are a form of fungus that make their way into your coffee by latching themselves to the dried coffee bean. Once they have attached themselves, they are then almost inseparable from the bean and (unless you are drinking a mycotoxin-free coffee) manage to survive through the grinding and pressing; ending up into your cup. There are two main types of mycotoxins typically found on coffee beans: aflatoxin B1 and ochratoxin A. The first is not to be taken lightly: aflatoxin B1 is often classified as one of the most potent known carcinogen. For the second, it’s been linked it to kidney toxicity, immune supression, cancer, and birth defects in animals. Out of these two mycotoxins, the second is more likely to be found in coffee. Now don’t be scared! Mycotoxins in coffee aren’t big news: almost every coffee contains them, and research has shown that in small amounts they are completely fine. Additionally, since they are known carcinogens, the allowable amounts that can be sold are closely regulated by government agencies such as the FDA and the EU health board. Crops that contain over the allowed amounts are usually thrown out. USA and China: 20 μg/kg. Will mycotoxins in coffee kill you? Well, no, most likely not. However constant intake of bad coffee beans (like if you’re drinking coffee everyday) with high amounts of mycotoxins can cause several negative side effects, potentially affecting your liver, kidneys, and overall immune system’s health. This could be one of the reasons for why drinking bad coffee can lead to high inflammatory responses. Have your typical cup of coffee (for accurate results, drink your coffee black), and pay close attention to your body. The idea here is to see if you can notice any of the above symptoms, either immediately or within the day. You can do this for a couple of days, and if you’re consistently experiencing negative symptoms, then it’s a sign that your coffee is negatively affecting you! If you want to improve your overall eczema and immune system’s health, then you need to minimize any potential damage bad coffee can have on you. Follow the suggestions below to help you choose the best kind with the least amount of mold and toxins! Farmers (aware of the dangers of mycotoxins) have developed a process to lessen the amount of mycotoxins in coffee, called a wet-process. Currently, this is one of the most efficient process to lessen mycotoxins. As mycotoxins usually latch onto dry beans, a wet process makes it more difficult for them, and as such wet processed coffee beans contain less mycotoxins. Along with the wet-processed, you should also choose roasted beans: roasting the beans kills molds that produce mycotoxins. In one study, it was shown that roasting reduced the levels of Ochratoxin A by 50%! Choose beans from higher elevations. To reduce moldy beans, consider the environment where the coffee is grown. As mold is less apt to grow at higher elevations, buying beans that have been harvested from the mountains can help decrease the amount of toxins in your coffee. Central America beans from the mountains are a good choice. Larger companies like Folgers or Starbucks often use robusta beans in their coffee, as they contain some of the highest amounts of caffeine. However when scientists analzyed coffee beans, they found that robusta beans were also some of the moldiest beans (which is ironically why they also contain more caffeine: a natural defense against mold). Arabica beans in contrast, were studied to be the least moldy. If you want to minimize toxins and molds, choose arabica instead. Coffee blends are coffee beans that are mixed from multiple areas. The problem with this is that you have almost zero guarantee of where your coffee actually comes from, and you’re more likely to get cheaper beans with mold. Instead of buying from major brands that mix their coffee beans, buy your coffee from single origins, ensuring the quality. Do not drink instant or decaffeinated coffee. 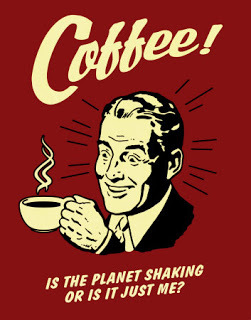 For those of you who drink decaf, I urge you to switch to another beverage instead. Decaffeinated coffee beans are at higher risks for mycotoxins, as they don’t contain caffeine: the substance that protects coffee beans from the growth of mold and mycotoxins. Additionally, the process to remove the caffeine from the coffee beans involves high amounts of chemical solvent, usually dichloromethane (aka: methylene chloride). This chemical solvent is so powerful, that skin contact can lead to burns and it’s advised against inhalation. It’s also believed that long term exposure can cause damage to internal organs and even memory loss. Instant coffee (like Nescafe) also contains significantly more mycotoxins from roast beans, as they are heavily processed. To put it simply, you really shouldn’t be drinking this stuff! Buy whole beans and grind your coffee fresh. Did you know Louis XV actually grew his own coffee beans on the Versailles Palace grounds? According to literature, he handpicked the beans, roasted them, and ground them himself. Serious coffee aficionado…but he was doing it right! Not many of us give thought to how our coffee is made, but the way that you prepare it really makes a difference. Molds and toxins are more apt to grow in stale coffee, so it’s best to buy the whole bean and grind your coffee fresh. Thankfully it’s no longer as complicated as Louis’s way in the palace. You can find electric or mechanical grinders at almost any department store (kitchen section), IKEA or online. Here are 2 types of coffee that meet all the above requirements, and that I’ve personally been using to start the day! 1. 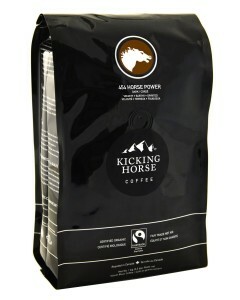 Kicking Horse Coffee: Click here to see reviews. 2. 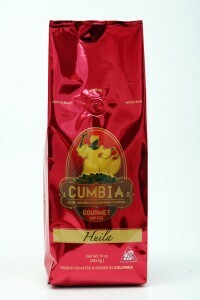 Cumbia Huila Coffee: Click here to see reviews. When my eczema was at it’s worst, I stopped drinking coffee as to not put any potential stress on my body. I did this because I had many of the above symptoms, and wanted to give my body a break. Later, when I began to re-introduce coffee, I realized that it wasn’t the caffeine that was initially hurting me, but rather my toxin-loaded coffee beans! After switching to a better coffee, I no longer have any of the negative side effects. I’m fully alert and inspired in the morning, don’t experience the afternoon caffeine crashes, and don’t suffer symptoms such as anxiety or stress. Best part? It hasn’t triggered any eczema breakout. The change is night and day! Do the Coffee Test above, if you suspect that caffeine is triggering your breakouts. If you experience negative symptoms, then you can either stop drinking coffee altogether for a couple of weeks, and later re-introduce it to see how you feel, OR try switching to a better coffee with less toxins and molds. As mentioned in the beginning, most people might just be reacting to the toxins in the coffee bean, and not the actual caffeine itself. There are many health benefits to drinking coffee, so if you’re not sensitive to caffeine, then don’t be afraid of having it! If you want to drink coffee without triggering your eczema, choose a toxin-free one. If you’re constantly ingesting toxin-loaded coffee, it can become a trigger for your eczema. Consuming high amounts of toxins and molds in coffee can lead to high levels of inflammation in your body, along with feelings of chronic stress, anxiety, and digestive gut issues that may cause your body to react in symptoms such as eczema. PS: Don't know where to start. Sign up to my free training series on this page ! 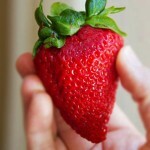 Filed Under: Eczema Diet & Triggers, Eczema Triggers - What's causing a breakout? Whatever happened to “dirt is good”? I have read articles by academics who suggest that extreme cleanliness may actually be a trigger for eczema. I have also read reports that suggest having eczema offers some protection against cancer. Still, I would agree with you that less processing is better. Hi Raquel, I agree with you that some dirt can be good! 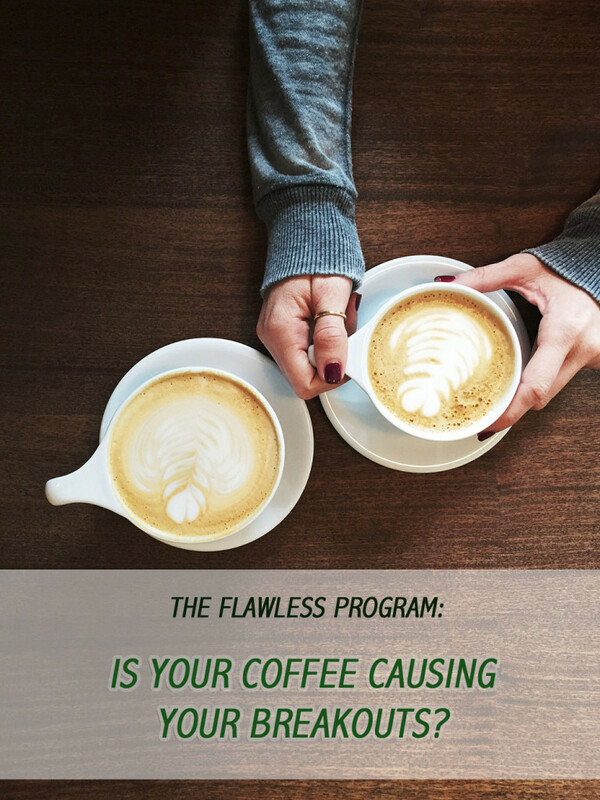 However, there is a difference between dirt and toxins: especially if you are ingesting toxins that aggravate or cause inflammation in the body, every day through a beverage like coffee. I would love to see that report on eczema and cancer! What about Green tea? Could it be causing my eczema? I haven’t heard of green tea affecting eczema. Hi I am trying to get rid of my eczema and am finding your web site very interesting,I currently drink tassimo Kenco Colombian coffee could this be a problem? Hi Phil, not familiar with that brand or origin, but try to meet the criteria for coffee mentioned in the article. Hope this helps! Oh my goodness. I want to reach out and hug you. I sufferer from eczema but love my coffee. I think I am doing everything else right with diet in the hope that I can still enjoy my morning cuppa. I live in Sydney Australia and am going to try and track down the coffee you have described. I am so glad to have found your website and thank you for dedicating the time to share your knowledge. So glad the website could help you! If you can’t find this specific one, at least try to meet the criteria mentioned in the article for better coffee. Let me know how things go! I love cappuccinos and lattes. What do you suggest I do about these given that I have to stop dairy. Also I add sugar using Sukrin. Do you have any views on this ? Hi Colin! Coconut milk is a good alternative. Which Sukrin sugar do you use? Hey Christina, I discovered that coffee was a trigger for my ezcema about 2 years ago after swapping to Bulletproof Coffee. At first it was fine. Felt alert and experienced no adverse affect, but then after ordering a new batch it no longer tasted the same and my skin became itchy and I suffered brack outs. It took me a long time to realise or rather accept it was the coffe. (I love Coffee) I started drinking decaf with no milk, but eventually stopped altogether as it was no longer a pleasable experience. Have you heard of salicylates sensitivity? I believe this is a real trigger for my ezcema, itchiness. Currently going through a serious flare up especially around my neck and tops of my thighs, horrendous! So glad I came upon your website though , gives me hope! Thanks for all the sharing. I recount my personal experience with coffee and eczema. I used to be an ardent coffee drinker. About 2 years ago i began developing eczema and the dermatologists put me on steroid creams which used to cure but would eventually return after sometime. A few days ago i suspended drinking coffee and noticed an improvement in my eczema condition. This prompted me to do some research and here i am discovering what had caused me the skin condition. Thanks to this website which confirms my suspicion. 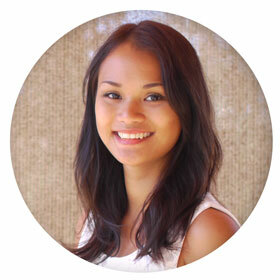 Thanks for sharing your experience with coffee and eczema! It’s definitely a trigger more people need to know about. Coffee nerd here. Check into where the Kicking Horse beans were grown. Canada is good for roasting coffee beans but is way too far from the equator for growing coffee plants. They were shipped there as green beans. Interesting! I think they have more info on their website? i personally enjoy organic valley soy creamer, to me it is just about as creamy and enjoyable as actual creamer. I also sometimes buy the trader joes brand. the silk brand has improved -it now says it is even creamier and it is better than it used to be. I know there are bad things said about soy as well but at this time I am happy with it and i feel a little safer since i buy the organic kind. At dunkin donuts i have had a latte made from almond milk and it was very tasty. I have very sensitive allergic skin and the Made from Earth Pure Aloe Treatment is in my opinion excellent it is not greasy and soothes the skin initially taking away the itch, a little goes a long way and worth paying a bit extra for a cream that works. This is also steroid free so you can use on the face and on a daily basis. You are amazing. Thanks so much for sharing your wealth of knowledge on this. So far your website has been the best source of information and truth that I have found. Thank you for the information. I have been suffering with a bad breakout on my head and hands for a while now and all the creams, lotions and shampoos are just not helping. I decided i was too reliant on coffee & have felt increased levels of stress so I’m on a coffee break. It’s now day 4 🙂 … After reading this I feel like I’ve made the rightchoice and will continue to monitor my skin. I have had terrible Eczema on my hands for over 18 months. I read your article on coffee – which I love and cannot live without!! – and switched to an organic single origin brand. Four weeks on and my Eczema has really cleared! Fingers corssed this is sustained and not just a glitch but so far so good! My afternoon slump has also massively diminished too – disco! Hi Dan, it’s so great to hear your skin is doing better after changing your coffee! It was definitely a problem in the past for me too. Glad the article could help! what about cvoffee brewed in a k-cup/keirig machine? Can’t thank you enough for the concrete info re: coffee. I have struggled with vulvar eczema for 2.5 years (I am 42 yo) and after reading your post it finally made sense to me why coffee has been causing an itch sensation. (I had already cut out gluten, dairy, corn, etc. with no real relief.) I cut coffee out completely for 6 days and then reintroduced using one of the brands you suggested (Kicking Horse). I noticed an IMMEDIATE difference in my symptoms, and after nearly 2 weeks I can say that my skin is finally getting back to normal. I cannot believe how reactive I am to the mold in regular coffee (I used to drink Starbucks brand). I encourage every coffee drinker with eczema to give this a try! I have been dealing with eczema outbreaks on my hand for years. It finally occurred to me about two years ago that coffee was likely the trigger. I cut coffee and started to see improvement in my skin. But of course I would have a cup here and there and again start suffering from the itching and blistering of eczema. So the I was able to confirm that coffee was in fact the trigger. But one day, I noticed that the bumps on my hand were spread in somewhat of a circle shape (like ringworm) which led me to suspect that perhaps it was not the caffeine in coffee but rather a fungus that was triggering my eczema. I researched this idea and came across your article. I am hopeful that what you have stated in your article proves to be true for me because I really miss a cup of coffee in the morning! Thanks for posting! Welcome to The Flawless Program: a website focused on clearing eczema from within! I cleared my skin by making simple lifestyle changes, and am helping many others do the same. 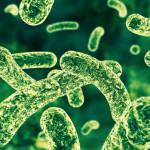 Probiotics for eczema: helpful or harmful? Read this before choosing. 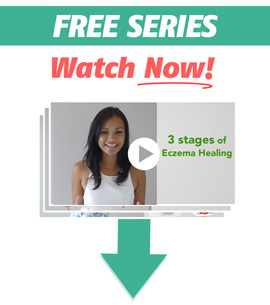 Watch my free series on How to Clear your Skin for Good!